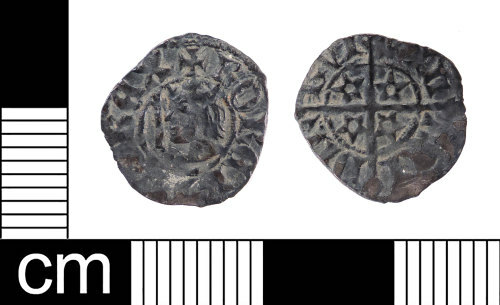 A Medieval silver half penny of Robert II of Scotland (AD 1371-1390), Mint of Edinburgh. A similar coin on the database is BERK-AB2DB3. Dimensions: diameter: 12.51mm; weight: 0.32g.